About 85 percent of registered apprentices in Minnesota are employed in the construction trades, but federal grant funds are helping more of the state’s manufacturers harness the power of apprenticeship to boost their employees’ skills – and remain competitive in a global economy. Hood Packaging is among a growing number of firms taking advantage of a free registered apprenticeship program for industrial workers, sponsored by the AFL-CIO’s Working for America Institute. A privately owned company with 20 production facilities in the U.S. and Canada, Hood employs about 86 people at a facility in Arden Hills, where members of United Steelworkers Local 264 print and laminate poly-film packaging for salted snacks and pet food. When the Steelworkers came to Operations Manager Michael Ramirez with a pitch for the apprenticeship program, Ramirez and human resources officer Beth diGrazia jumped at the opportunity. Four Hood employees – three Steelworkers and a manager – are currently enrolled in the fourth semester of the 18-month program. Every Thursday evening, they assemble in a conference room with two large screens and connect via Skype with an instructor, as well as apprentices from other Minnesota manufacturing firms. Coursework ranges from safety to quality control and beyond, and it’s typical for apprentices to receive up to six hours of homework each week. They take quizzes and tests, and receive a grade at the end of each course. So far, all four Hood apprentices are keeping their grade point average above 3.0. If they keep it up, the apprentices, who are paid for the time they spend in class, will complete the program – and receive their journeyperson cards – in June 2017. For Ramirez, the apprenticeship program is providing Hood with future leaders ready to help train their co-workers, troubleshoot problems on the shop floor and keep an eye out for safety issues. He’s already seeing results: Hood sent 15 employees through the apprenticeship’s safety course last January, and the Arden Hills facility hasn’t had a safety incident since then. 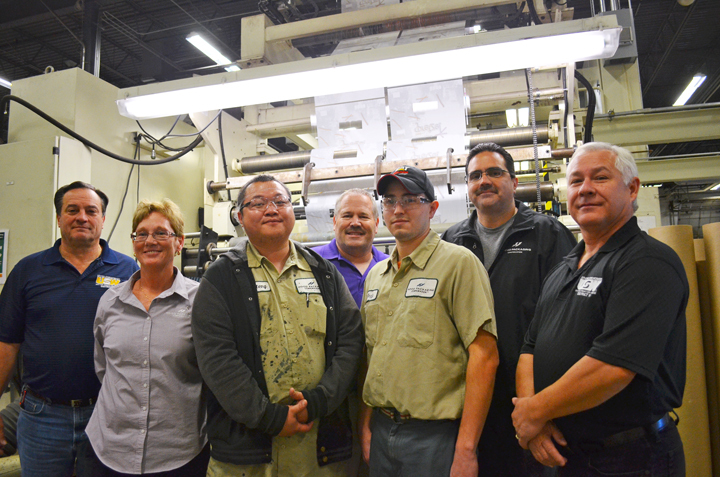 “To be competitive, we need the highest trained workforce we can possibly have,” Parzino said. “In Wisconsin, some of these programs have brought back products that were being manufactured in India. So we know this can have an impact.